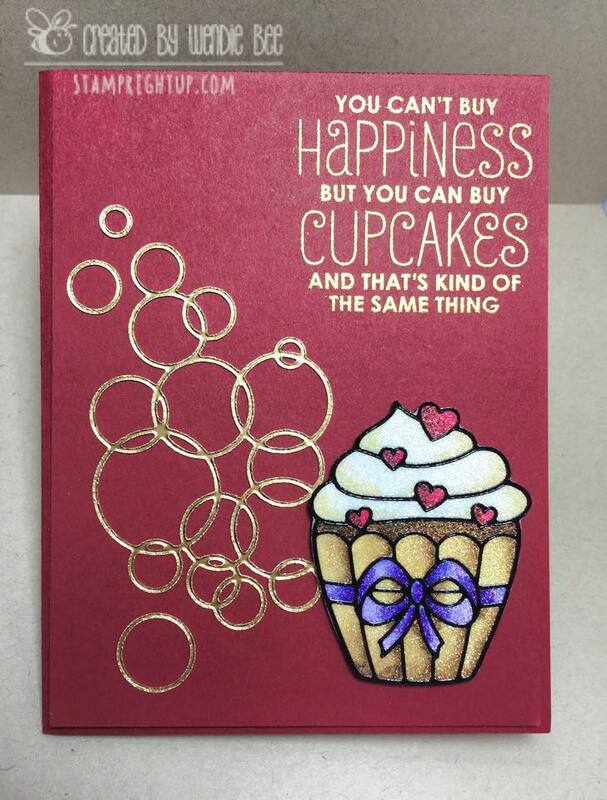 Cupcakes | Stamp Right Up! 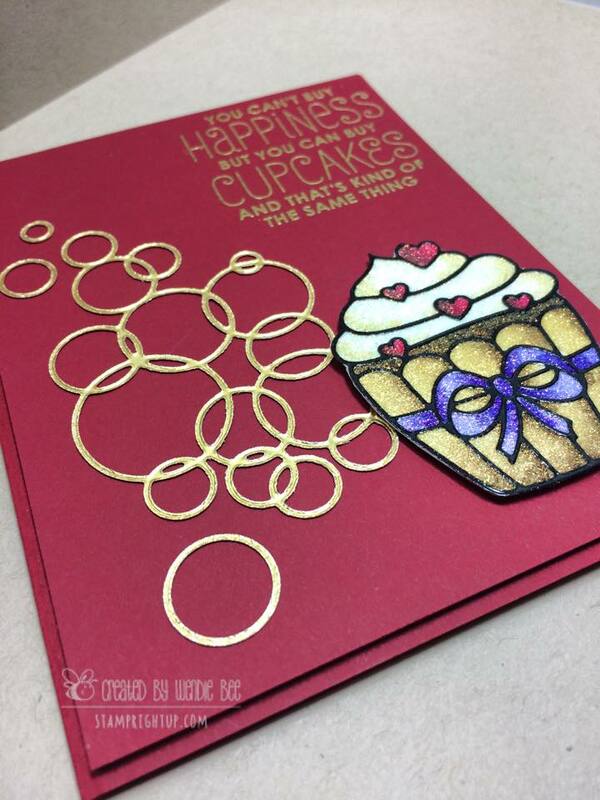 Cupcake earrings gift & card in one! 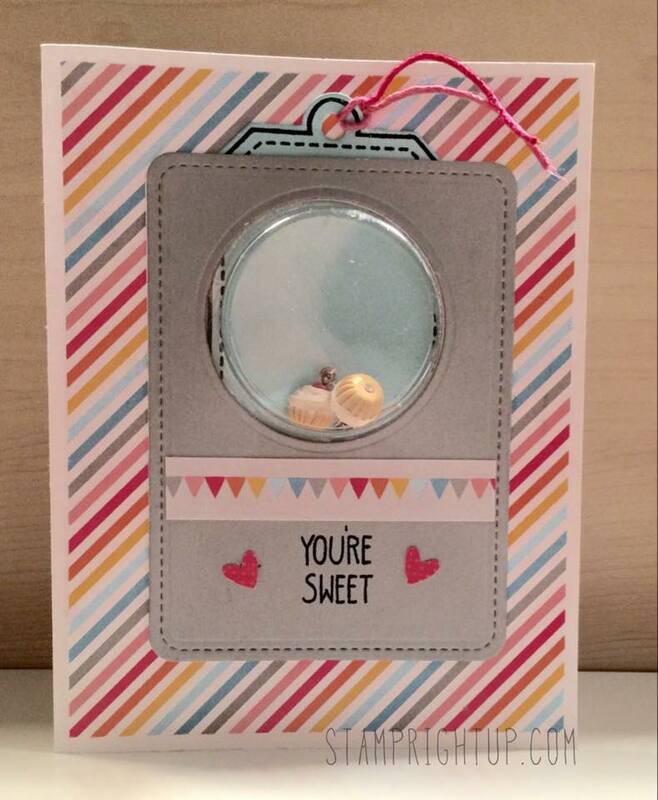 Card making is admittedly, not my only crafting endeavor… I also have a jewelry business Miss Kitty Creations. I create tiny *scented* (yes, scented) mini faux food jewelry. I make waffles, cakes, pies, cupcakes and seasonal pieces like shortbread Christmas tree earrings. And they ALL smell exactly as they should: pumpkin pie smells just like pumpkin pie, and the cupcakes are to die for scented to match the icing. When I discovered Lawn Fawn I just knew I needed to find a way to use their adorable items with my jewelry. 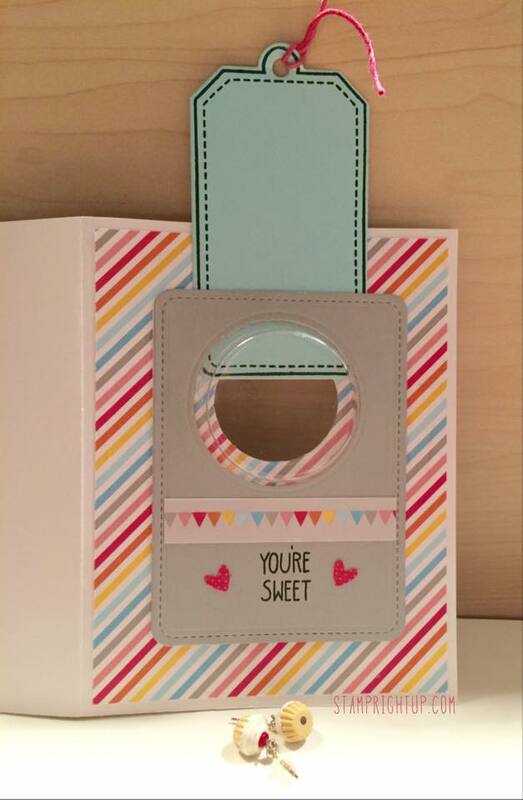 And I finally came up with something: card and gift in one!! These cards have a trap door that allows the recipient to get their jewelry out of the card without having to destroy the card.